"The X-Files" is a science fiction television show created by Chris Carter that aired between 1993 - 2002. 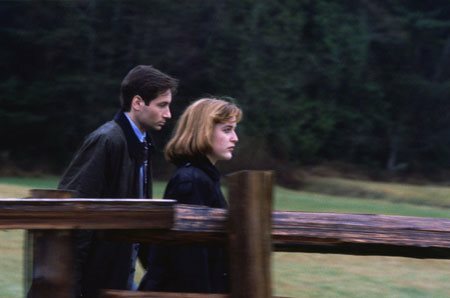 The show featured FBI Agents Fox Mulder (David Duchovny) and Dana Scully (Gillian Anderson), who investigated unsolved cases involving paranormal phenomena. The pair were brought together to balance each other out. Mulder was the "believer" and Scully was the skeptic. 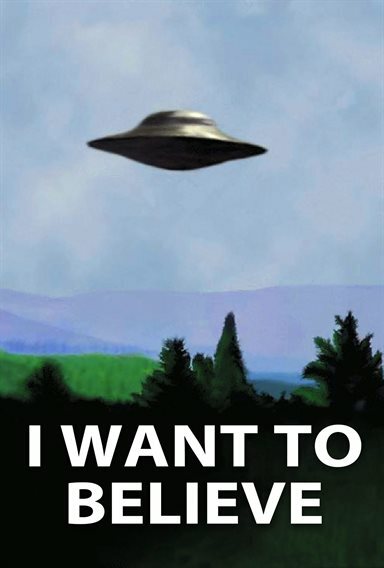 The show spawned popular slogans such as "The Truth Is Out There," "Trust No One," and "I Want to Believe". The show featured many different types of plots ranging from comedy to horror. Some scenarios were long, drawn out situations that would pop up every now and again, and some were strictly what is termed as "monster of the week" episodes. Popularity of the show peaked in the mid to late 1990s, and even had a feature film released in 1998. During the final two years of the show, David Duchovny made fewer appearances and Gillian Anderson was now the focus. This time period also introduced new characters to show such as John Doggett (Robert Patrick) and Monica Reyes (Annabeth Gish). "The X Files" was an award winning show, earning American Peabody, Golden Globe, and Emmy Awards. 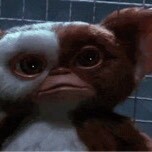 At the time of it's final episode, it had been the longest running Sci-Fi show on American television. It was dubbed the second greatest cult television show and the 37th bets show ever on television. TIME magazine also included the show on it's 100 Best TV Shows of All Time. Download X-Files in Digital HD from the iTunes store. X-Files images are © 20th Century Fox. All Rights Reserved. Whether or not you watched The X-Files from 1993- 2002, you would have had to been living under a rock to not know the names Scully and Mulder. The characters, the actors who played them, and even the theme song for the television series, were widely known and easily identifiable. For nine seasons, these FBI agents investigated paranormal phenomenon, with the former agent being a skeptic, and the latter being a "believer". For years, fans of the show have been left with the feeling of wanting more from this franchise, even after nine seasons and 2 feature films, one released in 1998 and the other in 2008. Finally, beginning on January 26, 2016, there will be a 6 episode miniseries with all of the main characters returning. In anticipation of this long sought after reunion, 20th Century Fox Home Entertainment is selling a collector's edition Blu-ray set. With all 9 seasons neatly housed in a compact box, the collector's edition fits nicely on any bookshelf. It is the complete set with all 202 episodes and plenty of extras to keep a diehard fan happy for a long time. Each season is in it's own case, including cover art which leaves everything nice and neat. Even though the early seasons of X-Files were originally presented on television in 4:3 aspect ratio (as well as the subsequent DVD releases), it's nice to see that 20th Century Fox has given them the widescreen treatment they were originally filmed in; and, while presented in 1080p AVC encoded video, the quality is not quite as good as a newer series simply because the show was shot 13 to 23 years ago. The same can be said for the Master 5.1 audio track which provides some of the nuances of today, but doesn't quite capture all of them simply because it can't. Each disc comes with a multitude of extras including commentary from Chris Carter, deleted scenes, FX: Behind the truth, documentaries about each season and Inside The X-Files. With over 23 hours of extras, there is so much to watch besides the plethora of episodes from each of the 9 seasons. Selling for over $250, this is an expensive set that not everyone will be able to afford, but anyone who loved the series enough to watch all 9 seasons over again might be willing to shell out that much for such a keepsake. Side note: The individual seasons are for sale as well but don't come with the artistic box. I know lots of fans that will be eagerly awaiting the first of 6 Episodes to come on January 24th, and, in the meantime, they can sit back and relive the past, refresh their memories and enjoy what they loved most about The X-Files once again. Whether it was the paranormal creatures, the relationship between Scully and Mulder, or something else entirely, you can't argue The X-Files wasn't a part of pop culture that many are looking forward to seeing again. 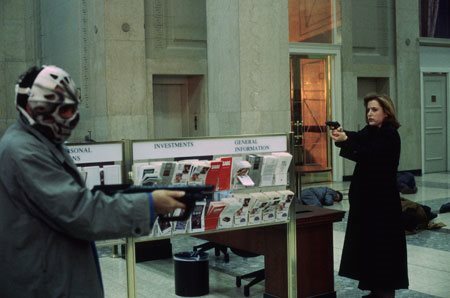 X-Files images © 20th Century Fox. All Rights Reserved.